" Armando was the only stylist I could find in Nyc that still does curly perms! I've been getting a perm for many many years and I'm never really happy with it...until I had Armando do mine. I went back for the second time yesterday and had just as great of an experience as I did the first time. Him and wife are not only the nicest, most personable people in the world, they are also very meticulous and pride themselves on good quality work. They truly made me feel like I was at home. I have also seen his haircuts and keratin results and they have all been amazing! " " I started doing Yuko Japanese hair straightening with Armando back in 2012 and have done multiple with him since then. He does the best Yuko treatment in NYC and he is so good that people come from other states to get it done. I currently live in Boston and come down to NY for Yukos every 4 months because all of the fanciest salons in Boston on Newberry St don't even come close. If you want a world-class Yuko straightening that leaves your hair shiny, soft, and pin straight down to the root come here. Most other places I've done Yukos at don't get rid of the curl down to the root near the scalp and this is the biggest thing to look out for with high quality Yukos-- Armando does an excellent job down to the root that lasts for many months. " " This review is extremely long overdue. Armando did the Yuko permanent straightening treatment on my hair about a year ago. The experience was extremely positive. He and his assistant were extremely attentive and fun to talk to as well. I travelled two hours from CT with my mother for Armando to do my hair, and am still glad that he did. After the treatment, my previously very curly hair was incredibly shiny and silky and pin straight. Despite the intensive treatment, it also looked incredibly healthy. Whenever i wash it and just let it air dry, it would dry completely straight naturally. Now, about 1 year later, the parts of my hair that Armando straightened still dry completely straight. The only problem I have now is that my roots have grown out curly. I do have to straighten my roots but that only takes a fraction of the time that it would take to straighten my entire head. I easily went about 8 months after the treatment without ever touching a straightener. A root retouch is long overdue, but I've now relocated to Boston and haven't found the time yet to make a trip to the upper east side to visit Armando. To anyone considering Yuko, its 100% worth it. Especially if you get the treatment from Armando and his wonderful assistant. " " This is a life changing experience. As someone who has had more than my share of hair complexities, insecurities & ridiculously horrid high-end salon experiences, I can say with 100% certainty, Armando is a true hair styling ninja! No matter what your situation (and believe me when I say I've had many MaNy MANY horrific hair related situations) he can solve it! Bottomline? Since meeting Armando, 3 years ago, I've referred every single person I know, and no one, has been disappointed! Prior to this, my hair had been a source of shame. Now, whenever I leave Armando's Salon, I feel like royalty, I have happy hair & I get more complements than I know what to do with! " " Armando is wonderful, takes care of your hair, cuts beautifully and styles your hair! Thank you, Armando! It was so much fun and I love my hair xo "
" Armando shows great craftsmanship. Everytime I leave his salon I feel beautiful. He repaired my hair when someone else damaged it. He helped me grow my hair from shoulder length to mid-back level. My hair is so thick that some hair stylist get intimated by it. But not Armando. He expertly tackles it. Money well spent! " " Best salon in the area. Armando has over 33 years of experience and can get you the exact style you want. " " Awesome blow out. Gave my hair the perfect amount of lift. He's also extremely nice - good friendly atmosphere. Relatively inexpensive - I paid $45 for the blowout. Oh- and I was in a huge rush and only had about 30 min. He managed to get my hair from a miserable frizzy bun to a beautiful smooth shiny blowout in that time! A++. I don't live in NY but if I was in the area I'd go again for another blow out. " " Armando is very detailed, great communicator and I trust him totally. Will be back again...totally worth it! Thank you Armando for being you!!! " " Armando! I am new to the city and my bangs needed a trim ASAP- I was seriously about to look like Cousin It. After looking at reviews I came across Chen Levi, who referred me to Armando, as Chen isn't in town. Armando and I talked and consulted very in depth and I felt quite confident before my cut even began. A few magical snips later my hair was transformed- I could see past my bangs again! The salon is very unassuming but the talent pours out of the doors. I was very comfortable and in the end Armando made me feel and look like a million bucks. I'm so happy! Plus, to counter other reviews,he didn't upsell me on a thing, in fact he told he my hair was naturally beautiful and that I was lucky to be able to save money on color and treatments. I'd trust his advice no matter what, Armando is a true pro and knows his stuff in and out. " " All jokes a side, Armando is THE best thing that has ever happened to my hair. He is the only one I would ever allow to lay a finger on my hair when it comes to keratin. So backdrop, I am mixed and have naturally thick curly hair. Over the years I have been straighten everyday and coloring it blonde almost bi monthly so it's weaken terribly. I have many stylists for many different things - they all have their opinion on keratin. My colorist swears by it, my extension girl says no way. So I was nervous. I did a lot of research and decided to take my chances on Armando. He's the nicest man ever, and really know what he's doing. He compares himself to a chef. "Every restaurant can have chicken, but it's the chef that makes a difference." And let me tell you, my hair has never been so healthy, shiny and smoother than ever, despite the years of damage. If you are on the fence, you have nothing to fear. It's an investment in yourself, for your hair, and your time. Armando all the way! " " Armando really is the man- you tell him what you want and you will receive exactly what you asked for. He is super friendly and honest! you won't walk out of this salon disappointed. " " I waited almost two weeks to review Armando because I wanted to see if the keratin would last, and Armando exceeded my expectations!! I got a terrible blow out while in NYC for the weekend and quickly googled "keratin treatment upper east side", and Armando got me in the same day. He is very deliberate but very knowledgable. My hair was in BAD shape and he truly saved it. He trimmed the ends after the keratin and it even looked like I got highlights bc it was so healthy looking. I might fly back to him every few months to get another keratin! Sooo worth the money (it isn't cheap!!)!! Love Armando and his assistant! " " Armando just finished with my Yuko Japanese hair straightening and I love it. I had the Yuko process done 3-4 times prior, and this was my most positive experience thus far. 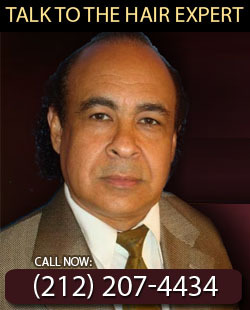 Armando is professional, personable and reliable. While I do understand it IS quite expensive ($500-$600), you get what you pay for, it's as simple as that. Armando and his assistant worked non-stop on my hair from 8:30 in the morning until 2pm in the afternoon (I have a lot of hair and it's very long). I would wholeheartedly recommend the Armando Pina Hair Salon and I will be back again! " " Armando's salon is the best. He is very professional. He takes his time with you during the consultation and while working on your hair. Will definitely go back to Armando. " -Highly recommend this salon "
" This is a terrific salon!!! – I've been going to Armando Pina for many years. Armando is an exceptional stylist and colorist. The atmosphere of his salon is relaxed and pleasant. He is reliable and is always there for me when I need him. I have also used him for Keratin Treatments as well. He does a remarkable job and is so thorough. I would recommend Armando Pina to anyone who is looking for gorgeous hair at reasonable prices in mid town NYC. " " Happy Hair! :) – I was on vacation in NYC and did a ton of research to find the best place to do the Keratin Hair Smoothing treatment and I hit the jackpot!!! Armando is truely the best! He definitely knows what he is doing, and my hair is not easy to work with. I did partial highlights with the straightening treatment and a cut. Everything was top notch!!! He promised 'Happy Hair' and he delivered! I am very happy with my results! The place is in a great location, and its a very pleasant environment. I would give him and his salon 10 stars if I could! Happy Happy Hair! " " Armando is the best! – I went to another salon and they damaged my hair. It felt like elastics and was falling out. Armando gave me deep conditioning treatments and cut off as much as he could and still made my hair attractive and manageable. I will always go back to him- he saved my hair!! He is also a very sweet guy and great conversationalist. I enjoy talking to him and stayed long after my appointment. You will not be dissapointed with Armando's hair services. I wasn't! " " Best Hairdresser Ever! – I have been going to Armando Pino for years. My haircuts are beautiful and the cut keeps it shape from haircut to harcut. He's an artist. I would not let anyone else cut my hair! Armando is the best! " " Armando saved my hair !!! – I made the mistake of going to a less qualified stylist...I wound up with a bob that looked like a stiff mushroom with no body, texture, bounce or personality. Armando fixed my problem by gracing me with the best style that I ever had in my life!! I now have a graduated bob with bounce, texture, expert layering and in peak condition! He also teaches you about how to style and keep it looking its best. He is very personable and listens to what you want in a style. My hair falls beautifully now- no matter how I shake it or turn my head upside down- it doesn't lose it's shape- just one shake and it is back to normal. I have hard to style curly hair and Armando effortlessly styled it exactly as I asked- He saved me from much humiliation by actually fixing a hard to fix disaster...THANKS ARMANDO!!!!!!!!!! I will refer all of my friends and come back faithfully! " " Perfection – Just one block from Bloomingdales on Lexington in the heart of manhattan a solon that is quiet and comfortable. Professional, expert, knowledgeable that is Armando. In this salon there is no waiting, it is all about you and what you want. Armando will do exactly what you ask for Highlights, Color, Haircut, New style. The only hair salon I know of that can color hair with all natural ingredents no harsh chemicals to ruin your hair. He will take care of whatever you need. He listens carefully to what you want and then he makes sure you are happy with the results. This is like going to a retreat. He takes the time he needs to do your hair perfectly. The only salon I have ever been in that has no drama. Just put yourself in Armando's hands and you will look like you are ready for a night on the town. Make sure you have some where to go because you are going to want to show off your hairstyle. Why not you are in New York. " " "Natural Highlights" that's what Armando calls highlighting with a few gray hightlights mixed in with low & high lights. It looks natural with a sparkle and shine. Making this subtle transition with my hair has been painless and with the mixture of highlights your salon visits are less. Armando is patient & has a terrific eye for color. The salon is light, clean and warm, with entertaining views of Lextington Avenue, one block from Bloomingdales. I now look forward to my time with Armand. " " Best Hairdresser in NYC!!!!! – I met Armando 15 years ago when he blew out my hair at a spa. From there, I have followed him to different salons and now he has his own for the last few years. He is not only a talented hairdresser but he is great to talk to and acts like a therapist at times! He is always smiling and easy to work with - never a bad haircut from him because he was in a bad mood. LOVE HIM!!! - Geri, Brooklyn, NY "
years.he is a wonderful person in tune to the needs of his clients. his salon is spotless and comfortable...a few steps from bloomingdale's. we would be lost without his perfect cuts and color. " " Perfect cuts and treatment – I have been going to Armando's for several years, he is the only one I let cut my hair he takes his time and it always comes out perfect. His Keratin treatment is fabulous it last the time it's suppose to and i have never had any problems with the treatment, his prices are excellent for the work that he does I feel like a new person when I leave his salon. Keep up the good work Armando. " " Perfection! – Armando is a real professional, he takes his time to do his job, you never feel he is in a hurry, he is just inspired by your hair. This is a jewel I found and his Keratin treatment does not go away after the first shampoo - as my last one!!!!! - this is the real deal! He is also the best colorist I had met, a real find.
" I had curly layered and long hair, I always loved it the way it was. However the winter in NYC makes my curls fade and look weird..messy..and I needed a break from my locks getting stuck on the coat and bags. Armando offered me his super straight Keratin treatment...oh darn he made me feel so comfortable. My hair ended straight and silky. He had to cut it though ... :-( the ends did not look perfect and he wanted perfect for me. A happy hair that will grow beautifully :-) I looked do sleek and even though I sweat and wash my hair a LOT my Keratin lasted 4 months. I will definitely come back and I recommend Armando to all my girls. He is a sweet heart! " " Armando is the best! I went to have my crazy curly hair Japanese Straightened at Armando's because my regular salon wouldn't do it. They said it was too damaging to the hair, so I was nervous about results- but after speaking with Armando on the phone decided to give it a shot anyway. And I am so glad I did! Armando is fun and so meticulous, and truly committed to doing an excellent job. He does the Japanese straightening for his wife twice a year as well, and that's enough recommendation for me! Three days later my "happy hair" is smooth, healthy, and perfectly straight. Thanks very much Armando, I'll definitely be back. " " Professional, knowledgeable and full of personality! I've lived in NYC for 3 years - I've finally found my hair stylist. Not to mention the entire staff is wonderful. My layered ombré hair is happy and perfect! " " Armando is amazing! He turned my impossible frizzy mess into pure silk. I have had keratin treatments before, but none as high quality or long-lasting (up to 5 months!) and at a reasonable price. And his cuts are absolutely perfect. Armando really listens to his customers and understands what they want. Appointments are fast and flexible (early morning, late night, weekend, you name it), and the atmosphere is comfortable, friendly and professional. You will not be disappointed! " " Armando has been cutting my hair for about two years and I am always happy with the results. I always get compliments on my hair when I've been to Armando. I think the test of a haircut is how well it grows out. I still got compliments on my hair the day I was going to get it trimmed because it had been 8 weeks since my last cut. Armando really has an artistic eye and over 30 years of experience. " " Before Armando I have tried several different salons in NYC - some of them may be good but none of them could convince me to come back for the second time. Armando did the job way better than my expectation and he is a really really nice guy, He totally got what I described to him. The Keratin hair straight is incredible and Armando knows how to use it very well!!!	" " I have struggled all my life to find a hair stylist who really knows how to treat thick, curly hair. It was a wonderful day when I found Armando!! Not only is Armando truly a talented artist, he listens to what your problems and wishes are for your hair style, etc. Then using his years of experience and skill, he makes your wish a reality! Armando did the keratin treatment (which I'd had before but never this high-quality) and now does all my hair styling and cuts. Thank you, Armando! Please don't ever retire now that I've found you :) "
" Armando was able to take me in for a first time appointment the very day that I called. I went in for a kerating hair treatment & I am just so happy with the results. I have never even colored my hair, so I was a little hestitant about the treatment...but no need to worry - Armando was great. I have already recommended him to several friends in the city. " " Armando is an artist really. He spent time to understand my hair, which is very different. And the end result was phenomenal. Armando is also very knowledgeable about hair fall problems and gives free advice. " " Armando is the best!! I have been to several other salons for Keratin treatments and color over the past few years until I found Armando. I will never go anywhere else again. He is an expert at what he does and both him and Selva create a warm and comfortable atmosphere which actually makes me look forward to my treatments. When you go to the salon, make sure to speak with Selva. Selva works with Armando and is one of the most lovely, positive and inspirational women you will ever meet. You will leave feeling uplifted. " " Armando is a true professional. He is caring and really knows the art of cutting hair. Armando is always available for appointment and I never have to wait. He has waited for me after hours on multiple occasions. I highly recommend him and I will go no where else. " " I have been very lucky to have the undivided attention of Armando today, as he did my Brazilian Keratin hair straightening, turned my grays into highlights, and cut my hair just the way i want it. Oh my God, he totally delivered on his promise of a happy hair! This was not just a happy hair day but also a happy day for me - things went beyond my expectations! This is just the look and feel I wanted for my hair. 4 hours passed and i did not even notice it because i was entertained very well by Armando, with lovely music on the background! " " Armando has done my hair for more than 20 years! He completely understands curly hair and I always leave his salon feeling glamorous. He is attentive, caring and he really listens to your ideas. The last time he cut my hair, I went out with some friends and was asked out by some guy I had noticed at the bar! I'm not saying Armando will cure your single-girl blues, but he will make sure you've got the best hair to put out there! Thanks Armando! xo "
" You have to try this guy out! I was in NYC recently and my girl desperately needed a Keratin Hair Straightening service done. I googled and found this salon. I have to tell you I was a little unsure because I was out of my element. But the reviews were great...so we gave it a whirl. OMG Her hair came out great! And Armando was charming and so nice. Do yourself a favor when you are in NYC...try this guy out. He is an expert! " " Excellent at cutting men's hair. Armando is extremely skilled, very experienced and current. During the fifteen years that I have been a client, Armando has always listened, taken his time and given me great haircuts. I consider Armando to be a true professional at the top of his field, as well as a friend. "